Guess what I didn’t give up for Lent! I gave up chocolate (that one is big)….I gave up desserts (only kind of big)….but I couldn’t give up yarn! Tonight I attended the event which Kimberly organized through K2tog that featured Knitted Wit and Fickle Knitter Designs. I missed Michelle Miller of Fickle Knitter speak but I came in time to hear Lorajean Kelly of Knitted Wit speak. Lorajean is passionate about her all consuming work…the yarn that she dyes and makes available for us…the knitter. 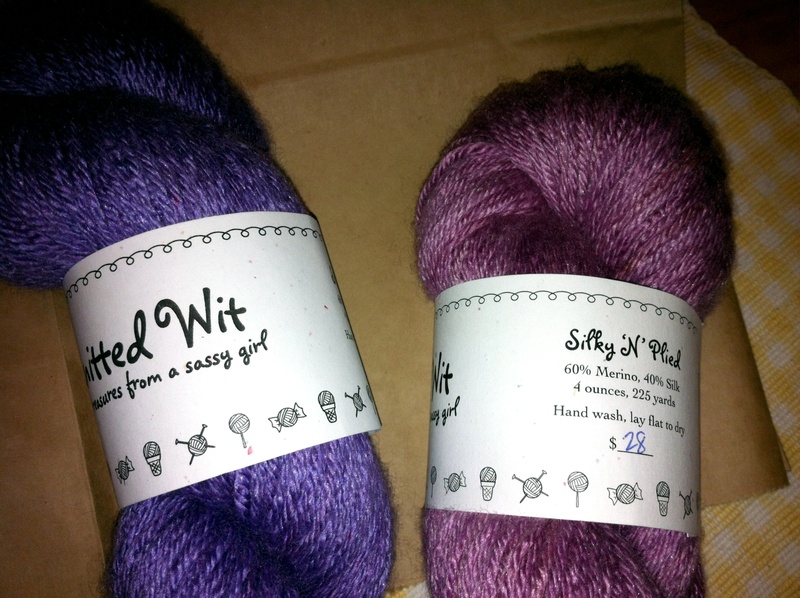 Here is what she does with yarn…..spin, wind, dye, rewind, label…take to market! I wasn’t in the market to buy…..we all know how much I have in my stash as well as projects in queue to finish….nevertheless, I became possessed and bought some of her yarn…..2 skeins of Silky ‘N” Plied (60% Merino, 40% Silk) @ 225 yards…1 colorway Beaujolais and the 2nd colorway Orchid. Not quite sure of my vision for this yarn yet…but with 450 yards I have many options. 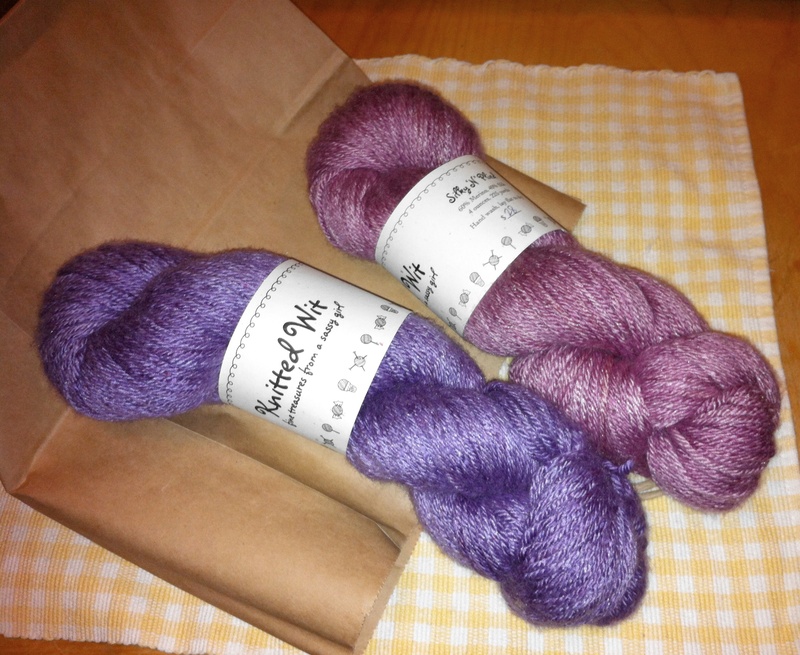 I love wool and silk blends! If you are going to Stitches West in Santa Clara, you just might want to look for these two – Knitted Wit and Fickle Knitter Designs. Did you make it to Stitches over the weekend? Always think of the LYS that are/were close by!